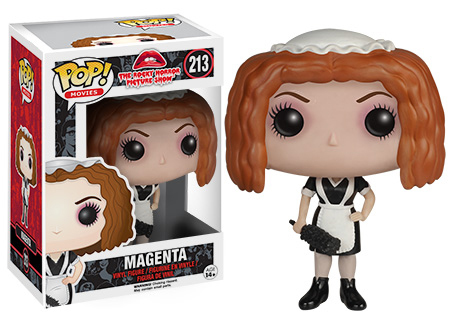 You're on your own for the toast, rice and other props, but the 2015 Funko Pop Rocky Horror Picture Show vinyl figures cover just about everything else. The lineup has six figures, which is on the large side for a single series of Pops from one movie. 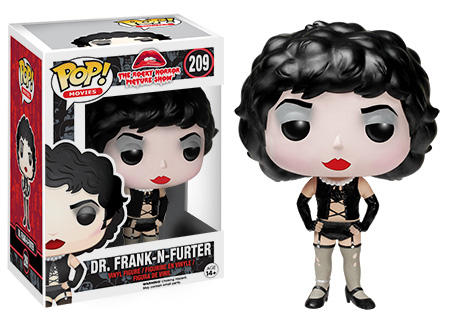 Dr. Frank-N-Furter leads things with his signature fishnets and matching outfit. Janet and Brad are present too in their skivvies and housecoats. Rounding out the lineup are some of Frank's closest and most colorful friends: Riff Raff, Magenta and Columbia. 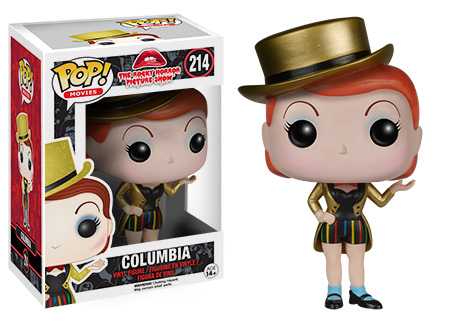 The Funko Pop Rocky Horror vinyl figures all come with detailed sculpts. 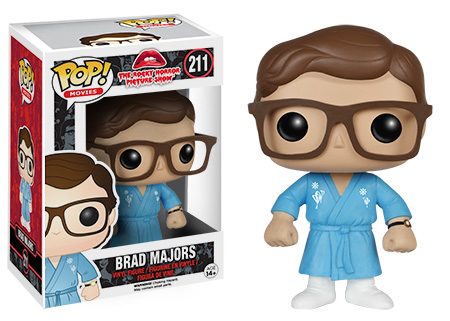 So even though they all come with the signature Pop! look, they're instantly recognizable. When The Rocky Horror Picture Show debuted in theaters in 1975, it was anything but a hit. But the musical took on a life of its own in ensuing years through midnight screenings. Since then, they've become extravagant productions filled with audience participation, actors on stage and old-fashioned fun. The figures each stand about 3 3/4" tall and are numbered as part of the Pop! Movies line. 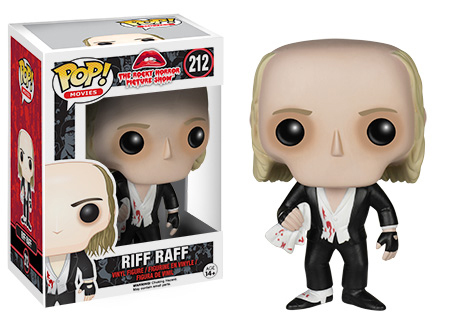 Riff Raff Rocky Horror Picture Show. Action figure 4.75" Package not included.